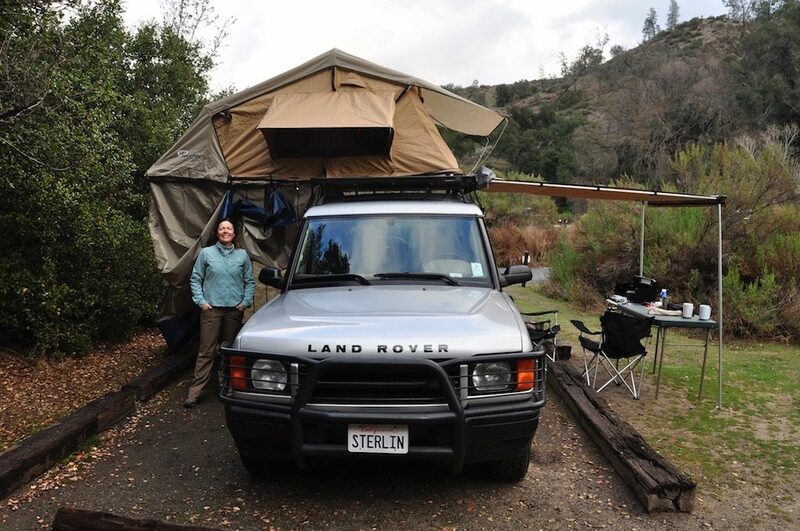 This is the story about our wonderful Land Rover Discovery we affectionally call Sterlin. He entered our lives back in 2002 as a spur of the moment buying decision. 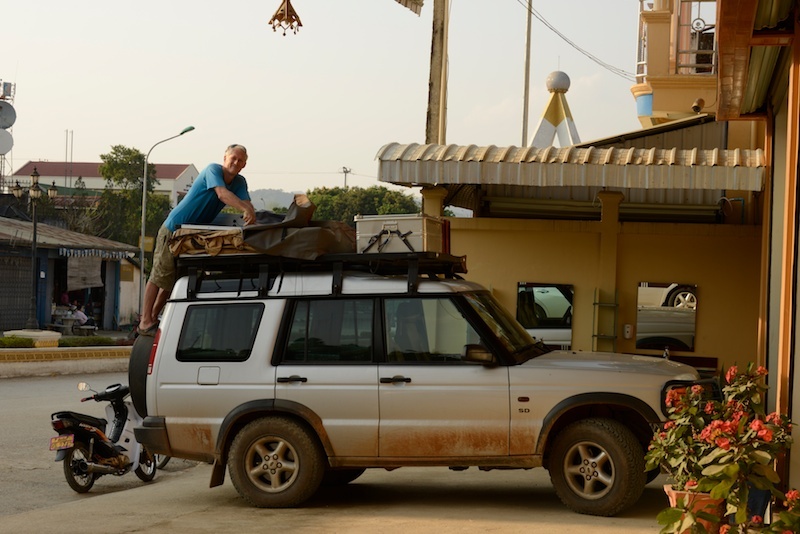 We were out strolling one day, and happened upon the local Land Rover dealership. We had no intention of buying a car, but the decision was made on the stop. 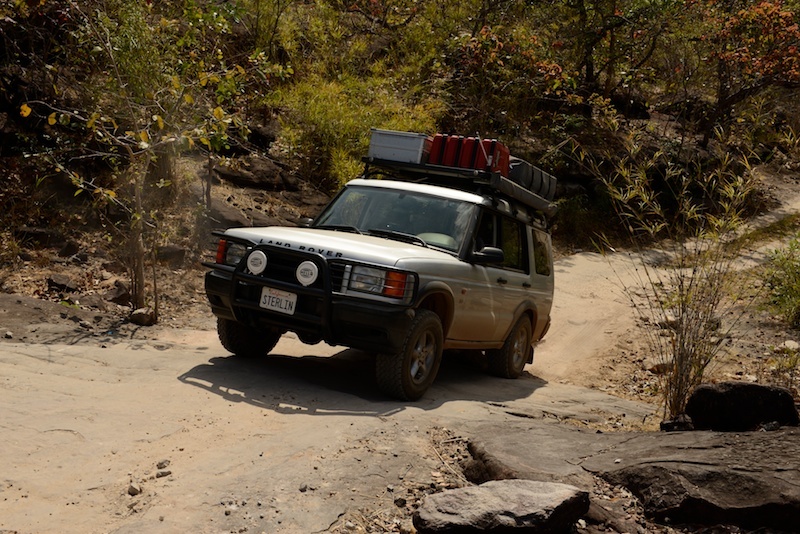 We wanted a vehicle that would take us to the southern tip of South America. 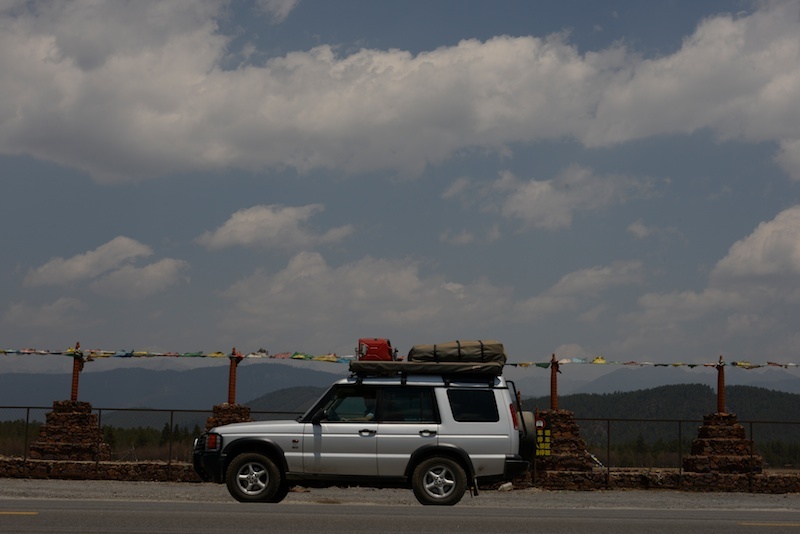 In 2004 we set off on our first overland adventure and shake down trip heading North from San Francisco to the northern edge of Alaska and eventually making our way back via Chicago. The second row of seats was removed and replaced with a simple storage unit which we constructed in the living room of our tiny one bedroom flat. The storage unit was made out of cobbled together and modified IKEA furniture pieces. It got the job done and served us well throughout the trip. 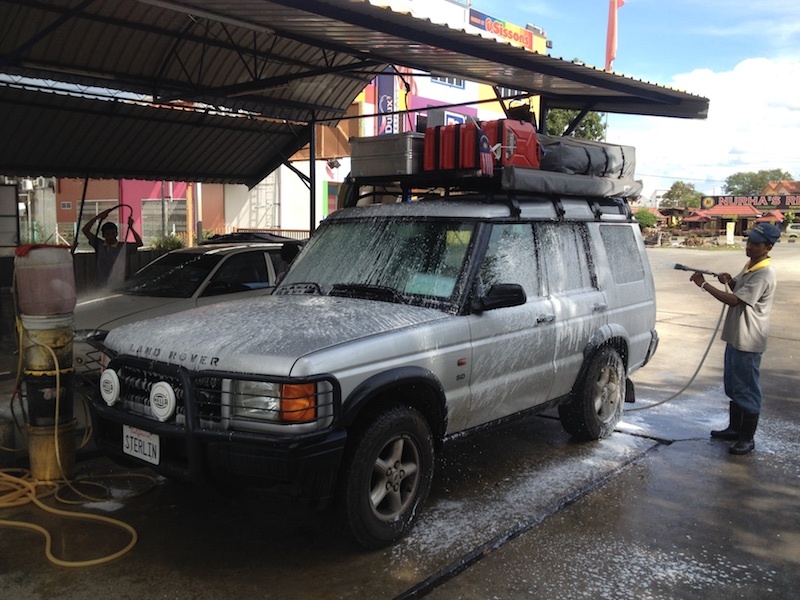 We also added a brush bar to the front and a Thule cargo storage box to the roof. After the North American Road Trip, Sterlin was converted back to city mode. 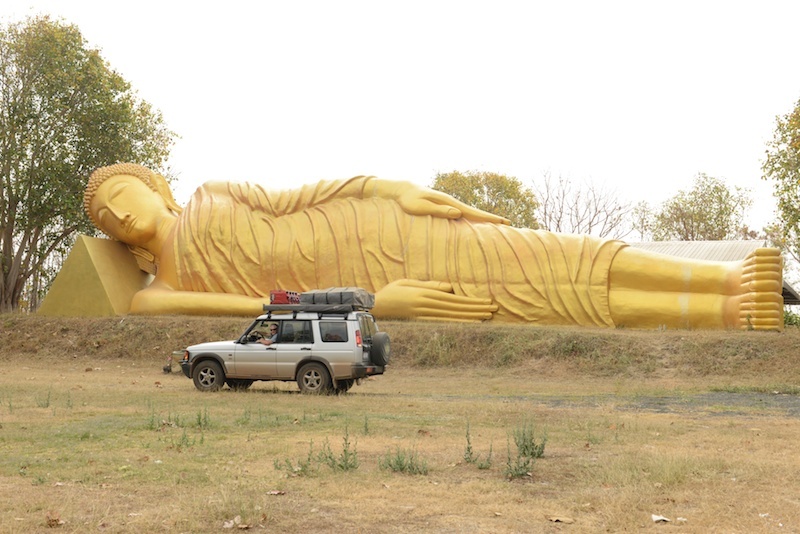 In 2013 the travel bug returned. The back seats were again removed and a new and improved storage unit was installed. This time we made many more modifications and add-ons. We had more time to prepare and were more experienced. Sterlin got a new rook rack, roof access ladder, roof mounted tent, side mounted awning, jerry cans, extra front driving lights, second battery for auxiliaries, water tank and water pump and filter system, fridge and an improved audio connection to the stereo. The suspension was upgraded, head casket replaced and new radiator and water hoses were installed. Sterlin was ready for an adventure to the other side of the world, which we call The Big One. Road to Cha Na Dia Cliffs. Not so good in places. Stephen fixing a slashed roof top tent. 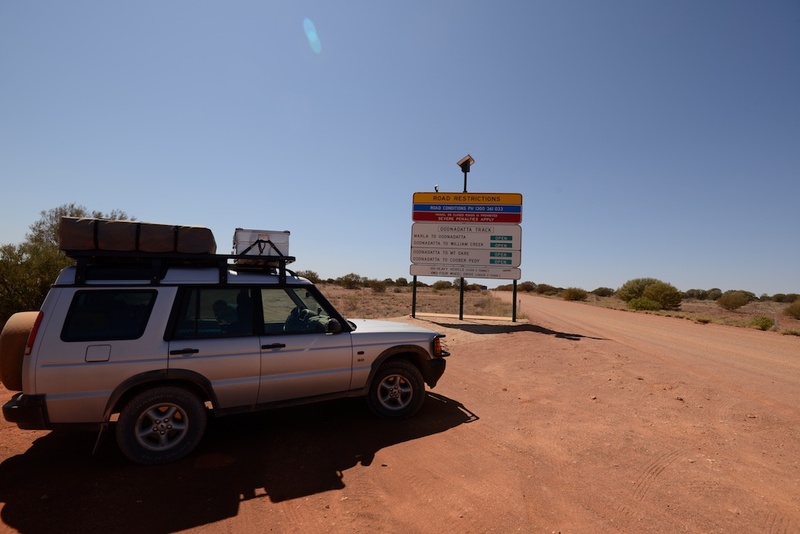 Completed the Oodnadatta Track at Marla. Sterlin in the Tibetan Cultural Area. 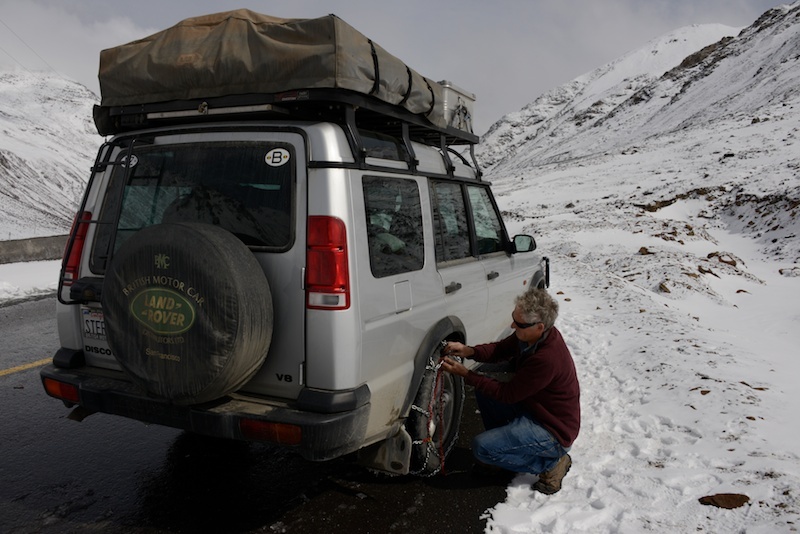 Sterlin getting his snow chains fitted.